National Hanging Out Day began in 1995 as a way to encourage people to use less electricity by hanging out their laundry. A look at social media shows that it’s also celebrated at a day to get out and enjoy some time with friends. Why not combine them both? While your wash is drying, take a break with your friends or family and do something fun—or learn a new skill like the Pepper in today’s story! I received a copy of Pepper and Frannie from Page Street Kids for review consideration. All opinions are my own. 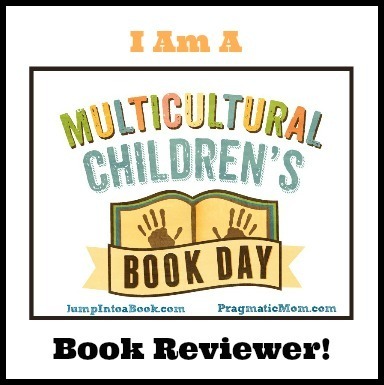 I’m excited to be teaming with Page Street Kids in a giveaway of two copies of the book. See details below. “Pepper is practical and prepared, and follows the rules. Fannie is fancy and free, and follows her own path.” They are best friends. They love to go on adventures together and enjoy activities in their own particular way. This weekend they’re heading off to the forest—Pepper to photograph a wildflower and Frannie to participate in the Wheels in the Woods skateboarding festival. As Pepper passes the bus stop on her motorcycle, she’s flagged down by Frannie, who has missed her bus. When they get to the festival, Pepper’s interested in what’s going on, and Frannie convinces her to stay. “Pepper is mesmerized. She snaps photos of perfect flips, ollies, and tailstalls on the half pipe,” as Frannie joins the skaters. Then Frannie wants Pepper to try skating. When she stands on the board, she feels a bit shaky, but Frannie is right there to support and teach her. When Frannie thinks Pepper is ready, she lets go of her friend. Pepper glides along until…she falls. Then “Pepper is done skating.” But Frannie has her up and trying again and again until…she’s got it. The two speed down the forest path with the other skaters. Pepper’s success inspires her to dream of all the things she could accomplish. They spend the rest of the day skating and helping each other when they fall. It becomes a weekend adventure to remember. Catherine Lazar Odell takes kids out to the skate park in her fresh and original story about friendship and the courage to try new things. For more cautious Pepper, succeeding on the skateboard is a revelation and leads her to contemplate all the things she might be and do. Frannie exemplifies the kind of enthusiasm, camaraderie, and support a good friend shows to a more reluctant companion, and the friends’ love and concern for each other is a highlight of the story. Odell’s evocative and action-packed mixed-media illustrations will charm readers as Frannie hops up and down and waves her arms with excitement and Pepper gets up again and again while learning her new skill. Images of the skateboarding characters doing tricks on their boards will thrill young skaters and would-be skaters. Early images of Pepper reading a “stay on path” sign but then leaving the path to photograph a wildflower and her choice of a motorbike for transportation both hint at Pepper’s unrecognized bravery. A lovely book sure to encourage and inspire kids to reach out of their comfort zone as well as to support friends in their varied pursuits, Pepper and Frannie would be heartening addition to home, classroom, and public libraries. To learn more about Catherine Lazar Odell, her books, and her art, visit her website. I’m excited to be talking with Catherine Lazar Odell today about how her world travels influences her work, the most rewarding part about being a children’s author, the value of community and more. Pepper and Frannie is your debut as an author-illustrator. You’re also the illustrator for the recently released I’m Done! with Gretchen Brandenburg McLellan. What inspired you to start writing and illustrating for children? To be honest, writing and illustrating books was not the career I had been dreaming of since I was little. I’ve never had that kind of clarity. But I’ve always loved drawing, and I’ve always loved things that were deceptively simple. I was visiting my parents at a point when I wasn’t totally sure what I was going to do next. I had worked at a fancy design job, and I had toured as a musician in a band, and I was just getting by on freelance design gigs and starting to dedicate more time to drawing from my imagination. My mother had kept a couple shelves of my favorite books from childhood and I found myself in the basement flipping through them, absolutely flooded with memories and excitement. I couldn’t believe how much had stuck with me after all these years. It was almost like I could see some of the blueprints to my own way of thinking. It was actually my brother who suggested I give it a try. He’s always been my biggest fan. You’ve traveled all over the world and called many places home. How did those experiences influence your creative development? What’s one thing you’ve learned that you’d like to pass on to kids? As we flew from one side of the world to the other, I remember thinking about all the people we were passing over, all the different countries, cities and towns, and how different their lives were from mine. I was fascinated by all the ways you could grow up, and while I felt like I was getting a sampling platter, I knew that others were having very specific experiences—on a farm, in a city, somewhere hot, somewhere cold, in a big house, or a little hut. I guess this might have contributed to my obsession with the idea that we are all different, but we are the same. I believe that it’s important to celebrate and honor our unique stories, and then to remember that those differences make us stronger when we work together. You’ve created designs for many companies. Can you reveal one or two designs we’d recognize? Nothing that really made it to a shelf. Most of the work I’ve done for recognizable companies was what we call ‘blue sky’ design, so it was more conceptual and behind the scenes—great work for a dreamer. That work also helped develop my interest in storytelling, because at the end of the day it’s less about the object and more about the story it tells or the one it is a part of. I learned a lot about everything that goes into making a single bottle of shampoo, or a diaper. Yes, I worked on diapers, and I can tell you that the technology and design behind those things is riveting. As a new author, what are some of the things you’re enjoying most about the process and engaging with readers? I love hearing the responses I get while sharing the book—comments, questions, interruptions—attention is a wonderful gift. When I see young minds giving thought and consideration to something I spent many, many hours developing, it’s the best reward. I’m also thrilled about meeting all the people that have such a passion for books and helping to bring them to young readers. I love Pepper and Frannie and their seemingly opposite personalities. One of my favorite parts of your book comes when Pepper skateboards for the first time without Frannie’s help, but then falls. The simple line that follows—“Pepper is done skating.”—is such an honest reaction, and it sets up a wonderful sense of suspense in the story. What is some advice you’d give for encouraging a child (or an adult) to keep trying? I have been stopping at this page during readings and asking kids if they think Pepper will try again. I feel like it’s pretty obvious—all the great stories have so much failure before the success! But I’ve been shocked to hear some “no’s” from a few children at readings. I want to come to a full stop and talk to them, but instead I turn the page and hope that they can get a different perspective by the end of the book. One girl who said no at my last reading came up and gave me an unannounced hug before leaving. That might be the best moment so far. I want to remind folks (at any age) that the enjoyment is in the effort, and every time you try, you’re one step closer to getting it. Skating is a perfect example because it’s so literal: falling is an inescapable part of learning. Really great skaters have fallen a lot more than skaters with less skill. It’s the same with writing, or playing an instrument, or baking…everything! I’ve always been drawn to perseverance. My favorite book when I was very small was The Carrot Seed by Ruth Krauss. That little boy planted a seed and he believed the carrot would come up. He watered it and tended to it, and it didn’t look like anything was happening, but he believed. And, of course, underneath, things were happening. He remained faithful through the constant skepticism from others and guess what—the carrot came up. Ugh, I still get the feels just thinking about that final page turn. Animals feature prominently in your work. What do you love about animals and nature? What’s not to love? I think it’s easy to forget that we share this place, and to think of ourselves as separate from the natural world. But I think anything that deepens our sense of connection is really important, from a good poem, to a community garden, or a walk in the park, or… bunnies on skateboards. Making art takes a lot of time, so it’s good to make art about things you love. You can be found at the Portland Saturday Market selling your work, at P & Q’s Market holding Sip and Sketch gatherings with a friend. Can you describe both of these and talk a little about how connecting with the community this way inspires you? Let’s see, The Portland Saturday Market is a craft market that is open every weekend March – December, and it has been running for over 40 years. It’s a big attraction for visitors to the city, and I’m in my 6th season now—not sure how that happened! It has been a wonderful way to connect with others through my work. I get to people watch for two days a week, and it takes me out of my bubble. People are an endless source of inspiration. I get to watch facial reactions, and hear what memories come up for people when they look at my drawings. I also see what doesn’t resonate. It’s all helpful. P’s and Q’s is entirely different. It’s more like a neighborhood restaurant with a small food market. It’s the epitome of quaint, and the perfect place to have a group sit around a farm table and enjoy each other’s company. Selfishly, hosting a drawing night has been a great reason for me to get out of the house, eat a delicious meal and draw without purpose—it’s more like art therapy. I always come home with some new insight or perspective or curiosity, and maybe a new friend. Hosting our drawing night at a space like P’s and Q’s means that all ages are welcome to join—which is important to me. Connecting with other humans in real spaces is something we are doing less and less, and I don’t think that it’s benefiting us. I’m inclined to think that gathering together is almost a subversive act at this point. A casual drawing night is very low key, and it takes off some of the social discomfort for introverts. Book 2 for Pepper and Frannie! I’m deep in the final art-making phase right now, and really excited that I get to continue their story. The second book experience has been totally different from the first, mainly because I’m more comfortable with the process of making a book. It’s such a long timeline, but now that I know more about what to expect I’m able to settle in and enjoy it more. I’m also spending more time with the same characters. I already know them, so we can skip the getting to know you phase of character development and jump right into a new situation. Really, I’m just digging into a different part of my own past. I’m particularly fond of the New Year. I love the global awareness that comes with the idea of time sweeping around the planet. I suppose technically it’s the planet spinning and orbiting, but it kinda feels the other way around. (I know everyone doesn’t celebrate the New Year on the same day, but I’ll have to pull from my own experiences here.) I love the reflective aspects of this holiday. Looking back and looking forward, and everyone around you doing the same. Did a holiday ever influence your work? If so, how? Can’t say that has yet, but anything is possible. Thanks so much Catherine for chatting with me today and sharing so much about your life and work! It’s been so nice getting to know you! I wish you the best with Pepper and Frannie and their next adventure too! This giveaway is open from April 19 through April 25 and ends at 8:00 p.m. EST. Prizing provided by Page Street Kids. There are so many cool tricks to learn in skateboarding! Can you find the names of fifteen tricks in this printable puzzle? Then color the skateboard in your own style! No matter whether you live in a house or an apartment, in a city, in a small town, or on a farm, but you can travel anywhere through books. The magic of reading lies in its ability to transport readers through history, into emotional landscapes, and to far-away places – even into outer space as today’s book shows! Sleeping Bear Press sent me a copy of The First Men Who Went to the Moon to check out. All opinions are my own. I’m excited to be teaming with Sleeping Bear Press in a giveaway of the book. See details below. Image copyright Scott Brundage, 2019, text copyright Rhonda Gowler Greene, 2019. Courtesy of Sleeping Bear Press. In a spectacular show of human achievement, the Command Module Columbia returned in a “…splashdown that brought them home, / safe and sound from a vast unknown, / where they made their mark, a ‘leap for mankind.’” With ticker tape parades attended by thousands of people, the astronauts were celebrated in New York City and Chicago. In addition to Rhonda Gowler Green’s poem, many of the double-spread illustration contain facts about the mission, features of the Moon, the astronauts’ work, and splashdown. Back matter includes information on where the Eagle and Columbia are now; more facts about the mission, the astronauts, and the equipment; resources; and a list of other books for young readers. Mirroring the circular mission that took the astronauts to the Moon and back, Rhonda Gowler Greene’s lyrical verses build on each other, overlapping to create depth in her storytelling and awe in the scientific achievement of NASA in 1969. As the poem reverses, readers engage in the feeling of pride and relief that Americans and people all around the world experienced as they watched Columbia splash down safely into the Pacific Ocean. Greene peppers the story with beautiful images take readers from “swirls of clouds” to a “desolate land” to “the dust of lunar ground” and helps them recapture the mystery and amazement of those days 50 years ago. Scott Brundage’s illustrations are remarkable for their detail and ability to transport readers to the heart of the Apollo 11 mission. Today’s children, familiar with satellite images and feeds from space and who have grown up with the International Space Station, cannot fully appreciate with what wonder and trepidation the world watched the mission on television. Choosing a variety of perspectives, Brundage allows kids to watch the rocket launch from the pad in Florida, look out of the spacecraft’s window as the astronauts leave Earth behind, see the Eagle light up the Moon’s surface as it lands, and view Neil Armstrong take that first step onto the Moon. Space lovers will want to linger over every two-page spread to take in all of the minute details as well as the inspiration that space stirs in the dreams of many. A lyrical and gorgeous tribute to the Apollo 11 mission for its 50th anniversary, The First Men Who Went to the Moon would make a lovely addition to home, classroom, and public library collections for science and space lovers, STEM lessons, and story time. Discover more about Rhonda Gowler Greene and her books on her website. To learn more about Scott Brundage, his books, his art, and more, visit his website. You can download and print a fun The First Men Who Went to the Moon Activity Sheet! Scott Brundage’s work has been featured in the New York Times, the Wall Street Journal, Scientific American, the Washington Post, and many others. He is the illustrator of A is for Astronaut: Blasting Through the Alphabet. He lives in New York City. Today I’m happy to be talking with Scott Brundage about capturing the beauty and mystery of space, his talent for humor, and the surprising start to his art career. The First Men Who Went to the Moon, written by Rhonda Gowler Greene, celebrates the 50th anniversary of the Apollo 11 moon landing. Your illustrations are astounding for their perspective and sense of action that captures the thrill and wonderment of the time. Can you talk about the research you did, how you approached creating these images, and your process? Well thank you for those generous words about my work. I’m happy people have responded to the illustrations so positively. When researching this book, I was lucky enough to have A is for Astronaut fresh in my mind. The Apollo 11 mission is a bit more specific than A is for Astronaut, being a specific time and year, but I’d already learned a lot about how to find good NASA references. I faced the same challenge as last time: since NASA’s photography is public domain and already gorgeous, what could I bring to this book that hasn’t been seen already? I couldn’t riff as much as last time, but I could at least try to capture what it might have been like to be in the Apollo 11 crew’s shoes (space boots?). Some illustrations also were simply trying to capture the emotion that Rhonda Gowler Greene was expressing with her words. The moon is beautiful, but distant, cold and still. I wanted to show all of that if I could. Which illustration in the book is your favorite and why? artsy, I thought it was a good metaphor for the book itself. We went to the moon, left our mark, and came back. The footprints are still there on the cold surface in the shadow of our flag. Image copyright Scott Brundage, 2019, text copyright Rhonda Gower Greene, 2019. Courtesy of Sleeping Bear Press. What were your favorite books as a child and whose art or illustration work did you admire growing up? I had to ask my mom for this answer. I don’t remember having a favorite, all I could think of are cool picture books I appreciate now as an adult. Turns out, according to my mom, I much preferred to just look through our encyclopedia and then report dinosaur facts to whoever would listen. How did you get into illustrating children’s books and what do you enjoy most about the work? I got into picture books relatively organically, having touched on almost every other type of illustration market first. I started out doing small illustrations for magazines and newspapers. That slowly led me to book covers and middle grade chapter books that had a lot of interior black and white illustration. Along the way, I would help a couple independent authors with their self-published picture books. After a while, I just had a stack of children’s picture book illustrations in my portfolio. So when my agent asked if I was interested in doing a picture book with a real publisher, I was more than ready to jump in. Picture books are great because you can really chew on a subject or set of characters way longer than you can for a book cover or spot illustration. I know way more about how space suits work, I’m familiar with a weird number of features on the International Space Station, and know exactly what color suits the Apollo 11 crew were wearing in their ticker tape parade. It’s really fun to get that deep for a book. Is it true you got your start professionally by designing a bicycle helmet? How did that come about? What was your design? This is true. My first paying gig was a Bell Helmet’s kid’s helmet design. My art school instructor, the great children’s book illustrator Brian Biggs, had a contact with the designer at Bell Helmets and set up a contest among his students to submit designs for a possible helmet. They’d pick the winner and see if it could get produced. I send in two designs, one of happy robots on an alien landscape, another of cute little lizards attacking a city. Somehow both designs won the contest The timing, however, was a little unfortunate for the lizards attacking the city since it was just after 9/11, but the robots ended up adorning the heads of dozens of kids nationwide. I was fortunate enough to review A is for Astronaut: Blasting through the Alphabet—your picture book with author and former astronaut Clayton Anderson. I was blown away by the stunning details—including spacecraft, the NASA control room, and space itself—on every page. 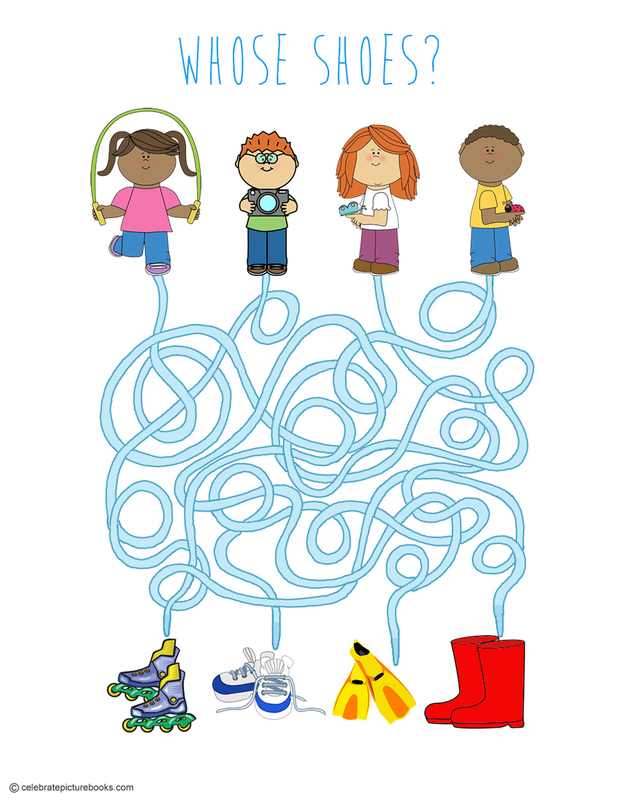 What kinds of choices did you make in creating the illustrations to make the information come alive for kids? A is for Astronaut was a blast to work on. I had a bit of freedom in interpreting each chapter, so a lot of it was figuring out I could make an image portray the idea of each letter clearly. For the more straightforward words like galaxy or blastoff, showing how it is to be a kid experiencing those awe-inspiring event/sights for the first time. And, when possible, if I could find a way to blend two words/ideas into a single spread, that was even more fun. Your editorial illustrations have appeared in magazines, newspapers, and other publications, and you’re now working as an animator for the Showtime series Our Cartoon President. Do you have a natural knack for humor and infusing it into your art or how did that develop? When I was in school, I was really into dark scary artwork and literature. Loved creepy drawings and painting, reading horror stories, listening to dark music. I tried my hand at doing some moody paintings in oil about serious subjects. But, my personality is that of a very silly man. And if you looked at my sketchbooks at the same time, it was all goofy drawings to make myself and others laugh. Eventually I realized I should just lean into what came naturally, and that was the funnier whimsical stuff. I’m definitely much more suited to making a weird face, taking a photo of myself, then applying that face to a character than I am at trying to scare someone. I’m just starting up a new picture book about a guy and his dog. No astronauts this time around. And I’m also working on the second season of Our Cartoon President. Thanks, Scott! It’s been so great chatting with you! I wish you all the best with The First Men Who Went to the Moon and all of your work! 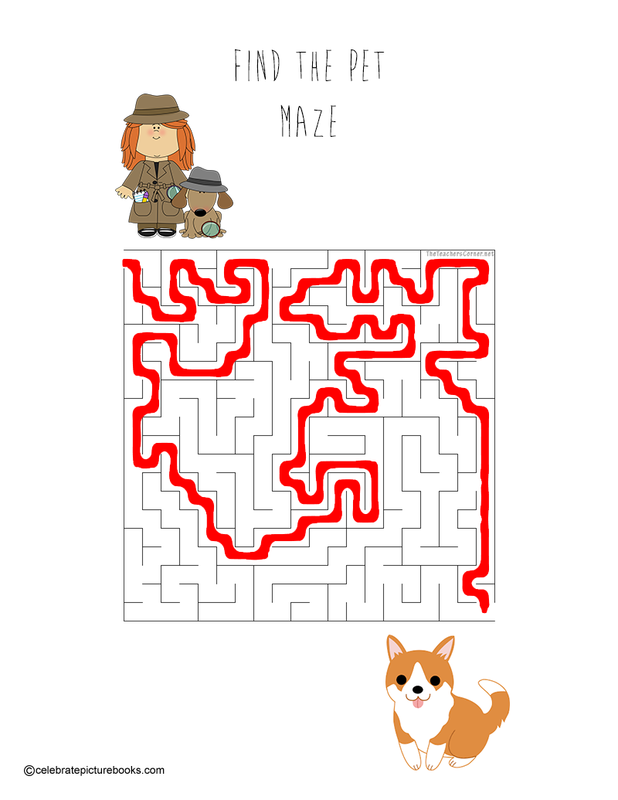 Help the rocket find its way through space and land on the moon in this printable puzzle! Instituted in 1911 and celebrated in Austria, Denmark, Germany, and Switzerland, International Women’s Day was recognized by the United Nations in 1975. In 1996, honoring the holiday under a united theme was established and this tradition has been followed ever since. During the 100th anniversary of International Woman’s Day in 2011, President Barak Obama proclaimed March to be National Women’s Month. Both International Women’s Day and National Women’s Month recognize the accomplishments and contributions of women throughout history and today. This year’s theme is Balance for Better and raises awareness of the need for gender equity across the spectrum of education, business, government, media coverage, rights, wealth, and more. The outreach and influence of International Women’s Day continues throughout the year. To learn more and get involved, visit the International Women’s Day website. Abrams Books for Young Readers sent me a copy of Born to Ride to check out. All opinions are my own. Image copyright Kelsey Garrity-Riley, 2019, text copyright Larissa Theule, 2019. Courtesy of Abrams Books for Young People. You only need to turn the page to see. Louisa’s mother is smiling and that original two-page spread has been transformed with lots of women and girls riding the roads that lead to the Votes for Women rally in the town green. An extensive Author’s Note follows the text and explains the origin of “bicycle face” and other such imagined bicycle-related maladies as well as the opposition to women’s riding bicycles. Also included is a discussion on the women’s suffrage movement. Both children and adult readers will be astounded at Larissa Theule’s eye-opening story that reveals just one of the many obstacles women have had to overcome in their quest for equal rights. Theule’s story, told through the eyes of a girl with pluck and self-confidence, is well targeted to her young audience with an engaging undercurrent of humor at the nonsensical reasoning behind the ban on women’s bicycle riding and even the constricting clothing of the time for girls and boys. As Louisa falls again and again while learning to ride, Theule infuses her story with the idea that perseverance wins out—a concept she not only applies to learning a new skill, but to the parallel story of women’s suffrage that runs throughout the illustrations. Kelsey Garrity-Riley’s charming illustrations evoke the late 1800s, giving kids a view of history with Victorian-style houses; skirts, bloomers, and pinafores for girls and short-pant suits for boys; and an old-fashioned sewing machine. Adding depth and context to the story, Garrity-Riley follows Louisa and Joe’s mother as she paints “Votes for Women” and “Ballots for Both” signs and later hosts a women’s suffrage tea attended by white and dark-skinned women, a woman in a wheelchair, and one progressive man. Garrity-Riley cleverly combines images of Louisa’s indomitable spirit with these depictions of protest to reinforce the theme and lesson of the story. To jumpstart discussions about equal rights for all, Born to Ride: A Story about Bicycle Face is a unique and fascinating addition to home, school, and public libraries. Discover more about Larissa Theule and her books on her website. To learn more about Kelsey Garrity-Riley, her books, and her art, visit her website. Two girls want to ride bikes together. 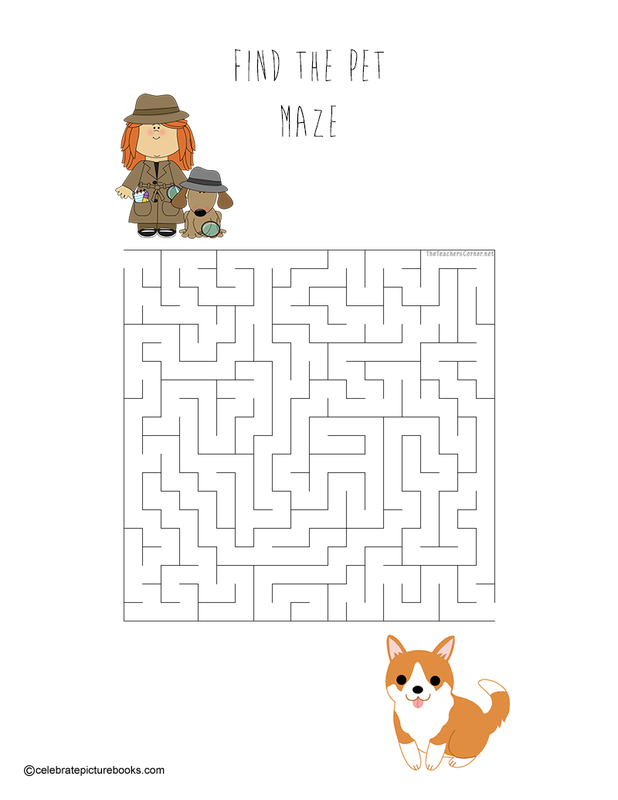 Can you help them find each other in this printable maze?